The World Health Organization (W.H.O) has urged farmers on Tuesday to stop using antibiotics to promote growth and prevent disease in healthy animals because the practice fuels dangerous drug-resistant superbug infections in people. Describing a lack of effective antibiotics for humans as “a security threat” on a par with “a sudden and deadly disease outbreak”, WHO Director-General Tedros Adhanom Ghebreyesus said “strong and sustained action across all sectors” was vital to turn back the tide of resistance and “keep the world safe”. The WHO “strongly recommends an overall reduction in the use of all classes of medically important antibiotics in food-producing animals, including complete restriction of these antibiotics for growth promotion and disease prevention without diagnosis,” the United Nations agency said in a statement. 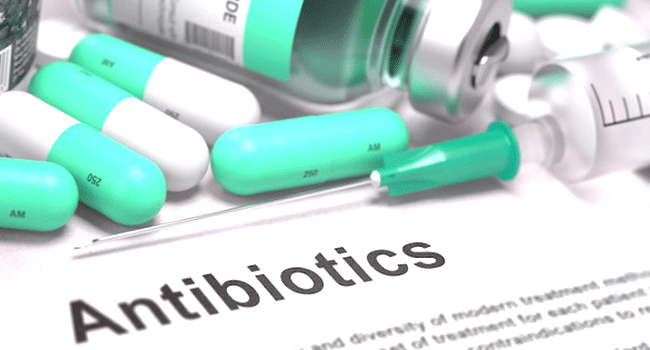 Any use of antibiotics promotes the development and spread of so-called superbugs — multi-drug-resistant infections that can evade the medicines designed to kill them. According to the WHO’s statement, in some countries, around 80 percent of total consumption of medically important antibiotics is in the animal sector. They are largely used in healthy animals to stop them getting sick and to speed up their growth. The WHO said such use should be halted completely. In sick animals, it added, wherever possible, tests should first be conducted to determine the most effective and prudent antibiotic to treat their specific infection. Some countries have already taken action to reduce the use of antibiotics in food-producing animals. The European Union has since 2006 banned the use of the drugs for growth promotion. Consumers are also driving a demand for meat raised without routine use of antibiotics, with some major food chains adopting ‘antibiotic-free’ policies for meat supplies. The WHO said alternatives to using antibiotics for disease prevention in animals include improving hygiene and farming practices, and making better use of vaccines.